Cinnamon Club offers a delicious and authentic fusion of Indian and Asian foods, guaranteed to tantalise your taste buds! Lets not forget those mouth-watering desserts to delight your senses too ! Make your choice from our extensive a la carte menu, indulge till your heart’s (or stomach’s) content with our full buffet spread or eat like royalty from our banquet selections. The choice is yours ! Our relaxed yet buzzing atmosphere will have your toes tapping on Friday and Saturday nights with live music. Music for all genres and crowds; including swing, jazz, rock-n-roll, reggae, dance party songs, slow ballads, Bollywood songs, latest top 40 hits and requests from guests ! Come down and see for yourselves !! 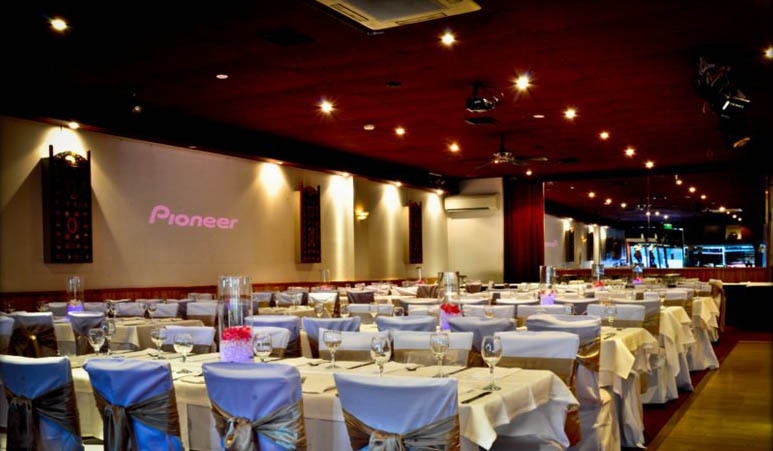 Cinnamon Club offers you a truly unique way to celebrate your special occasion -Weddings, birthdays, anniversaries, cocktail parties, corporate functions, hens nights and fundraising functions, with a seating capacity of 200+, 7 days a week! So,if you wish to enjoy a great night out with family and friends or dance the weekend away, make your reservation now at Cinnamon Club- your complete night out all under one roof !